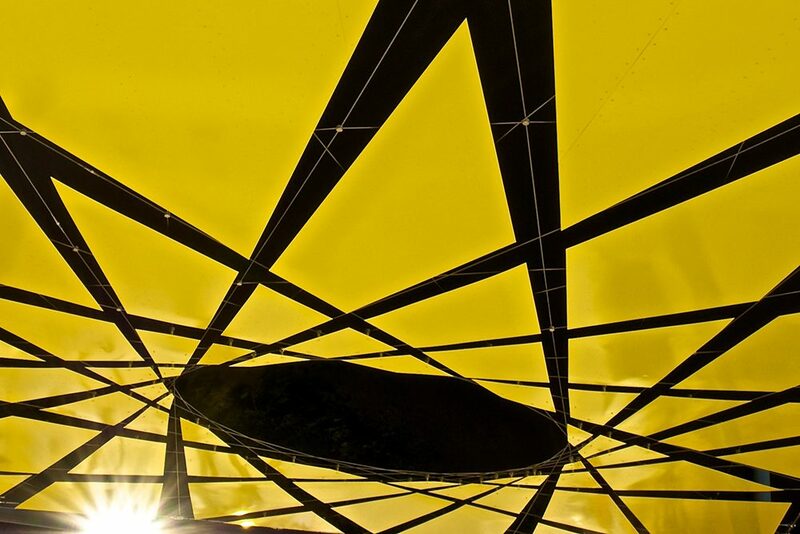 Precision engineered product and expertise from Tensile Design + Construct have underpinned the structural integrity of a significant public artwork in Brisbane. 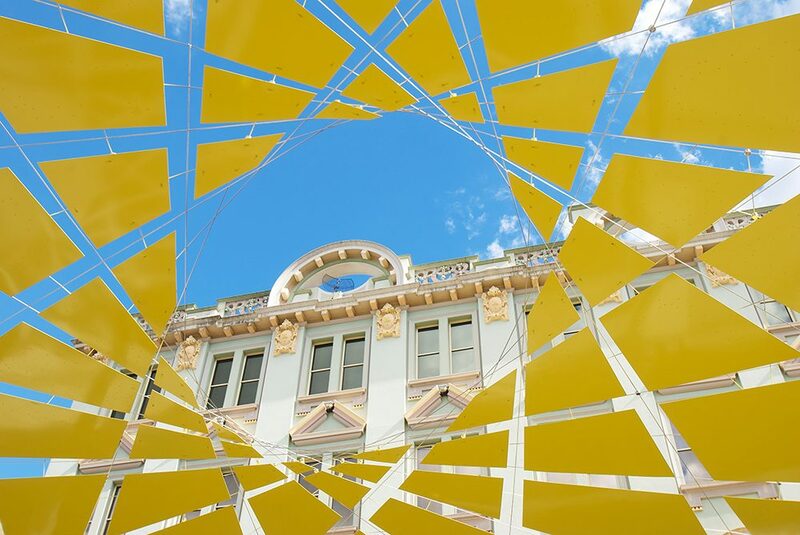 The piece, commissioned by Brisbane City Council, is titled Echo Orbit and was devised by artist Sandra Selig. 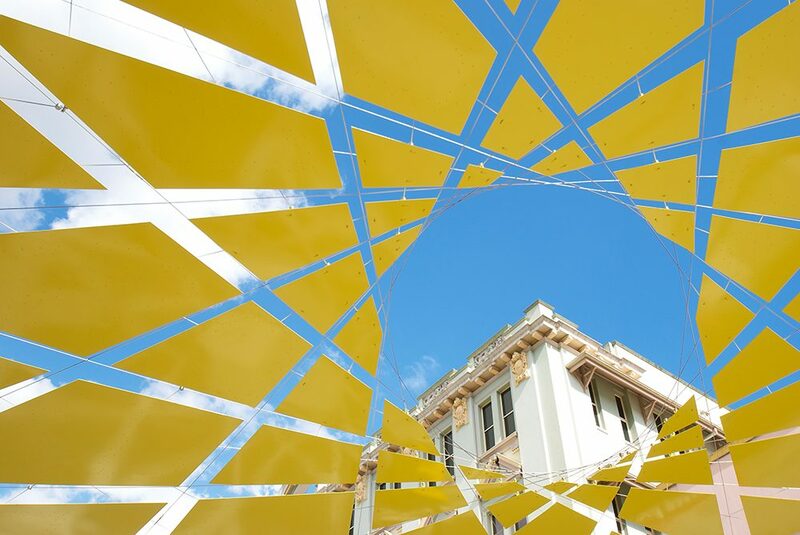 Described as a suspended artwork, it takes the form of a sculpture come shade structure involving myriad tensioned geometric plates, and forms a focal point of the newly redeveloped Brunswick Street Mall in Brisbane’s Fortitude Valley. 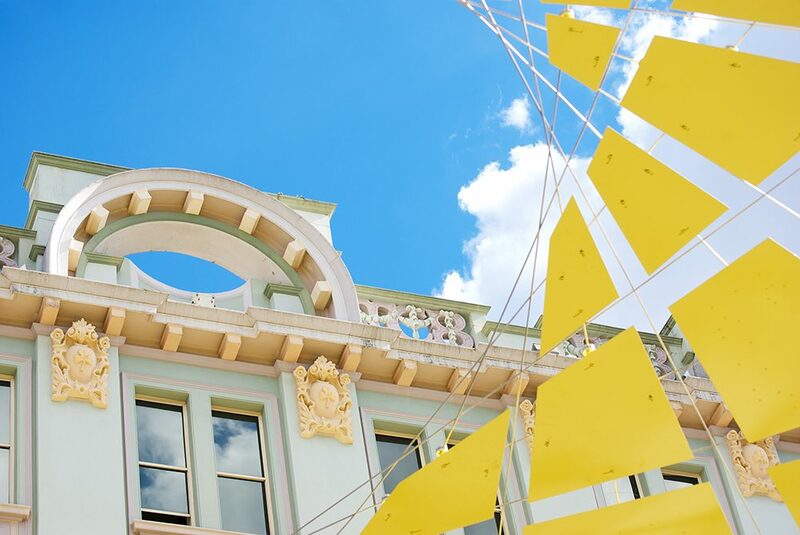 Curated by art consultancy Creativemove, Echo Orbit is a celebration of the importance of the creative industries to the precinct and is counterpointed by another ground level public art commission, Sunset Strip by Jennifer Marchant. 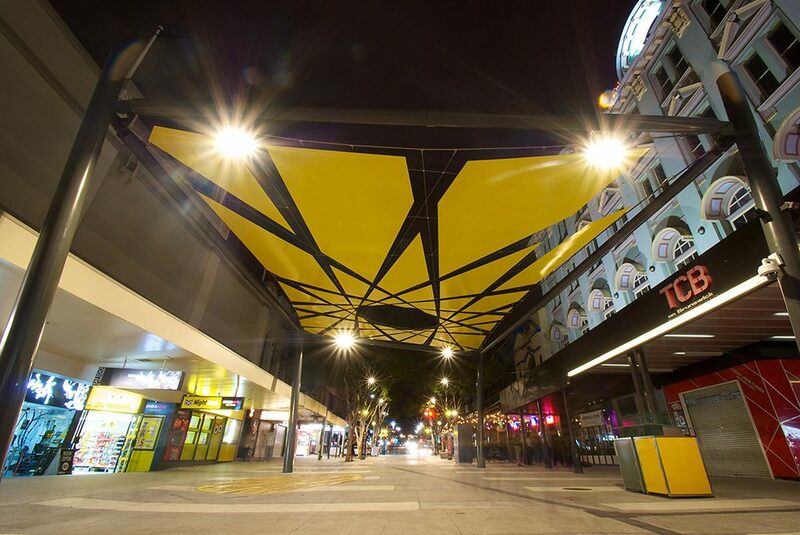 Both artworks reflect Brisbane City Council over-arching curatorial strategy for the Fortitude Valley Neighbourhood Plan, which proposed a “woven tapestry” of cultural and creative energy honouring the importance of local artists and writers, bands and musicians, fashion designers and built-environment design professionals. Tensile Design + Construct Managing Director Peter Bottero confirmed Tensile’s involvement in the execution of Sandra Selig’s Echo Orbit came about with its appointment by the project’s landscape architect Place Design Group. 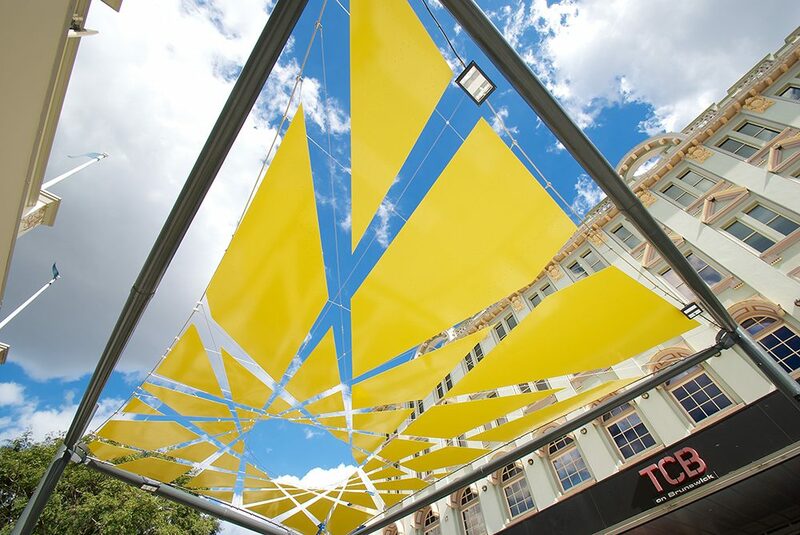 Tensile also provided cables and fittings including several custom-made components to its partner company Innovative Rigging, which undertook the fabrication and construction of the structure. Available in cable sizes from 1mm to 26mm and rod sizes from 6mm to 24mm and made from 316 & 316L grade stainless steels, the comprehensive and proven range is highly regarded for its Swiss quality and innovation, hailing from Jakob Rope Systems, whose reputation dates back 100 years.